OBJECTIVE: Open angle glaucoma (OAG) is one of the major chronic diseases involving the optic nerve. 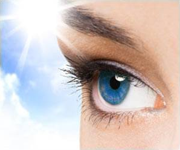 However, little is known about the association between vitamin D and open angle glaucoma. The present study was conducted to test the hypothesis that lower vitamin D status is associated with greater prevalence of open angle glaucoma. DESIGN: Cross-sectional study. Multivariable logistic regression was performed to examine the relationship between serum 25-hydroxyvitamin D (25(OH)D) and open angle glaucoma after adjusting for traditional potential confounders. OAG was defined by the criteria of the International Society for Geographical and Epidemiological Ophthalmology. SETTING: The Fifth Korean National Health and Nutrition Examination Survey conducted in 2010-2011. SUBJECTS: Six thousand and ninety-four adult participants randomly selected from 192 surveys in 131 locations in South Korea. RESULTS: Multivariable-adjusted odds ratios of open angle glaucoma across quintiles of decreasing 25(OH)D were 1.26, 1.00 (reference), 1.31, 1.36 and 1.69 (P for quadratic trend <0.01). The odds ratio for the lowest 25(OH)D quintile was significantly higher than that for the second quintile (P < 0.01). In addition, we discovered that the predictors for worsening of open angle glaucoma, such as intraocular pressure or vertical and horizontal cup-to-disc ratios, had a significant relationship with 25(OH)D level. CONCLUSIONS: There was a reverse J-shaped association between 25(OH)D levels and the risk of open angle glaucoma, with significantly elevated risk at lower 25(OH)D. The findings of this research suggest that vitamin D deficiency should be considered as a potential risk factor for the development of open angle glaucoma. To our knowledge, the present study is the first one that shows an association between vitamin D status and open angle glaucoma.